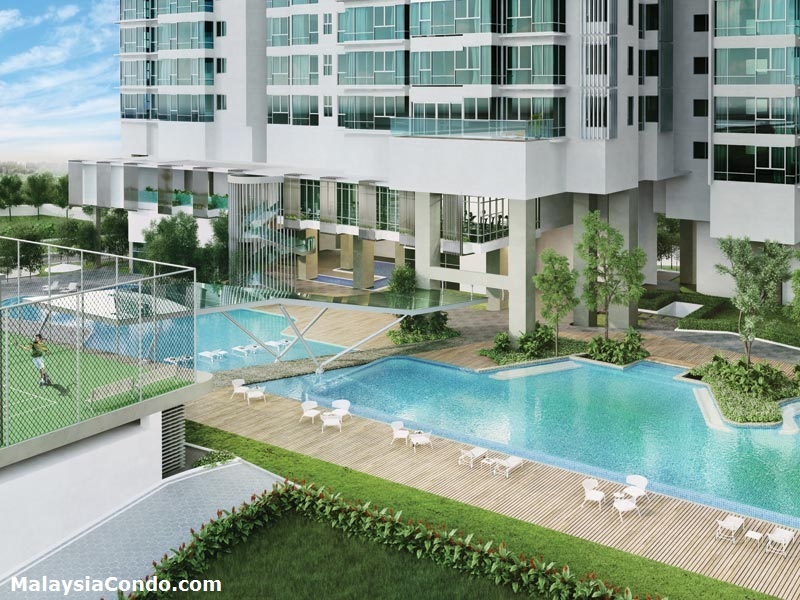 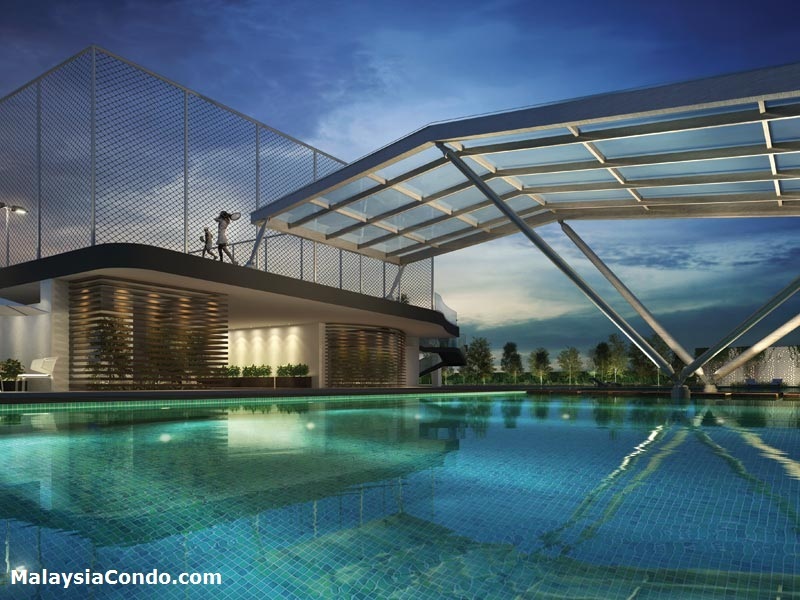 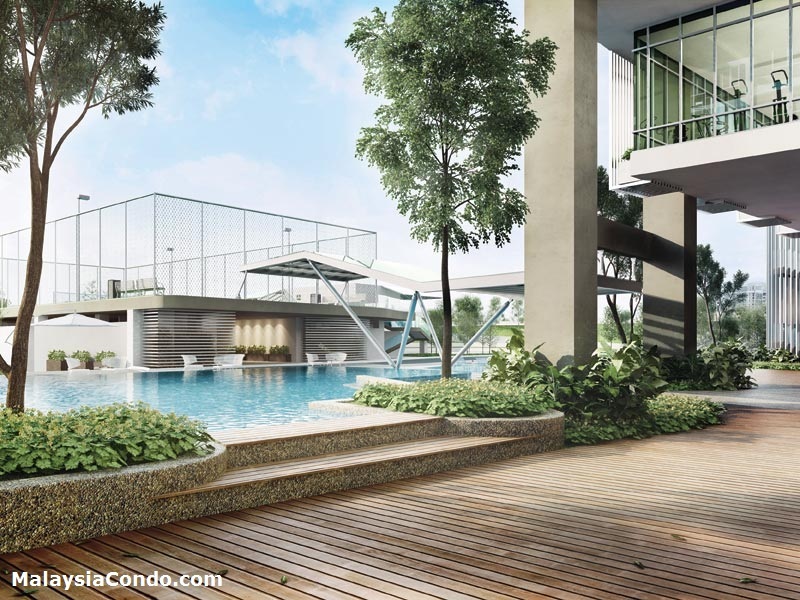 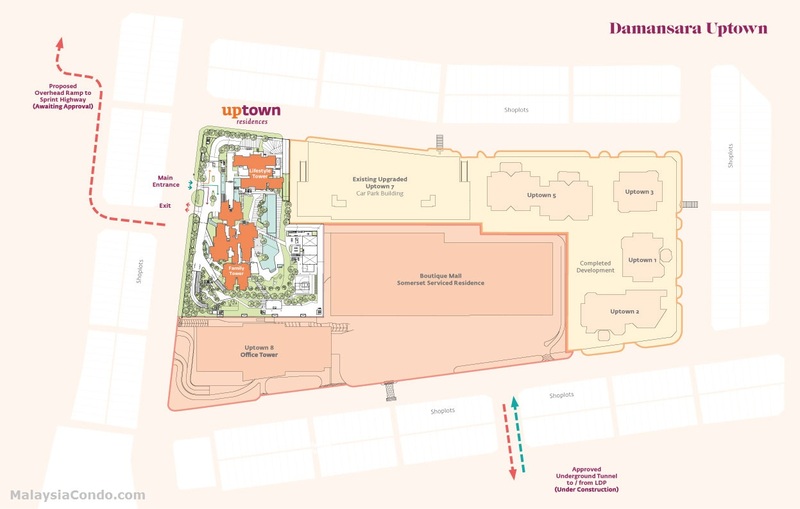 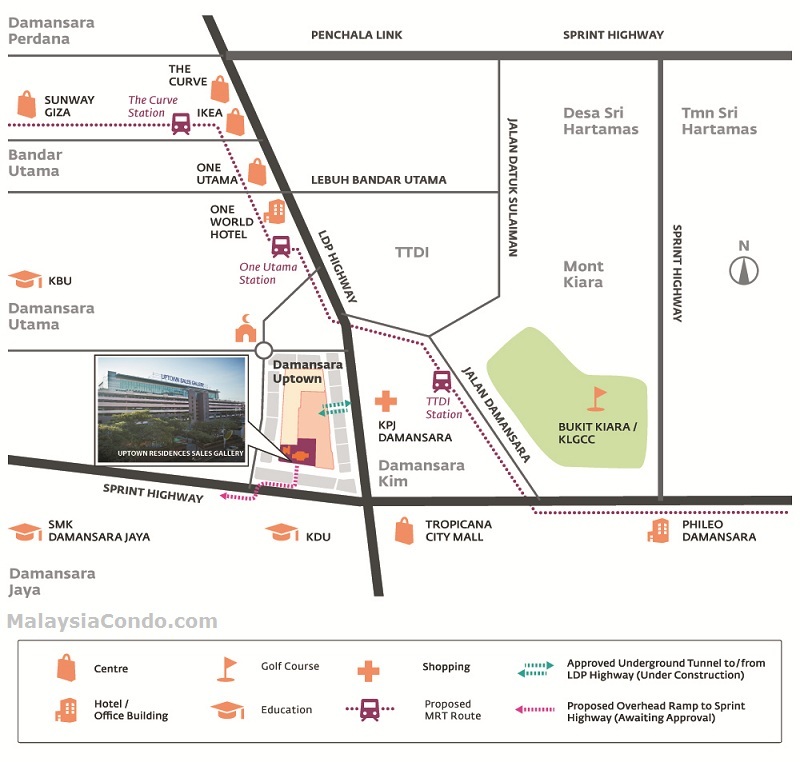 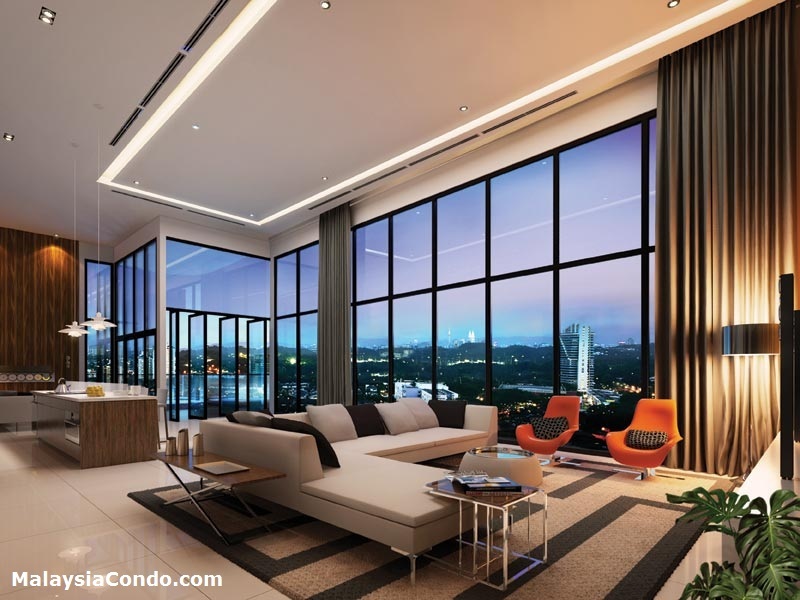 Uptown Residences is located at Damansara Uptown in Petaling Jaya, Selangor. 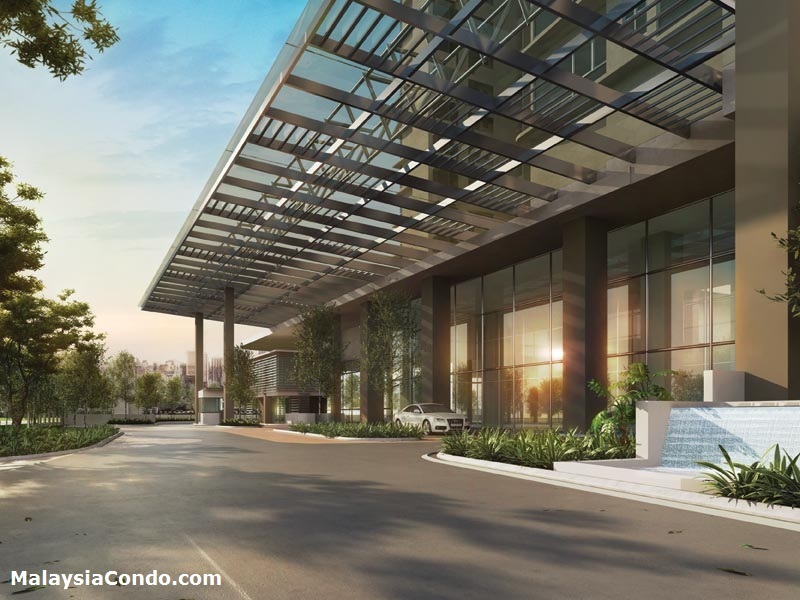 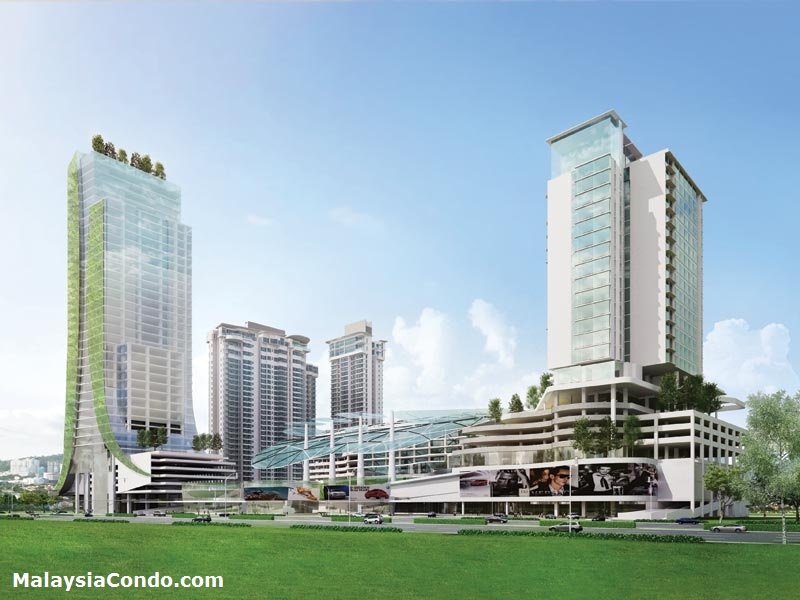 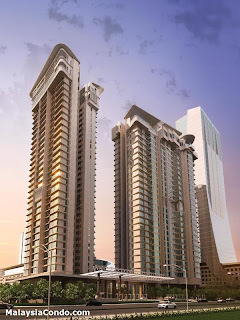 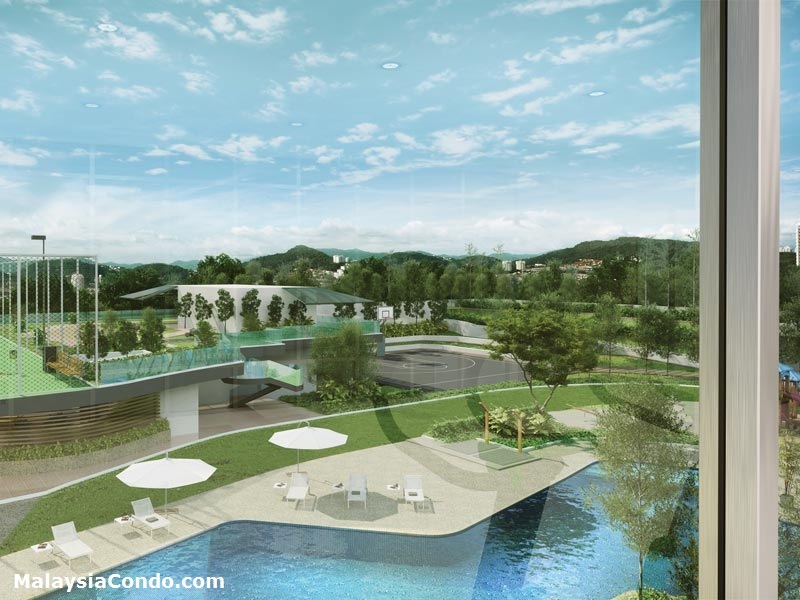 Uptown Residences consists of 2 towers namely Family Tower and Lifestyle Tower. 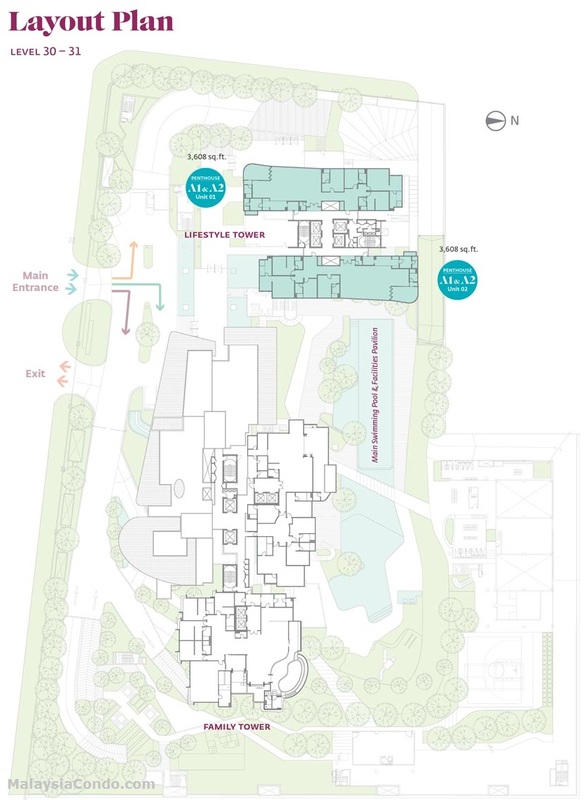 The 30-storey Family Tower comprises 202 apartments and 4 penthouses. 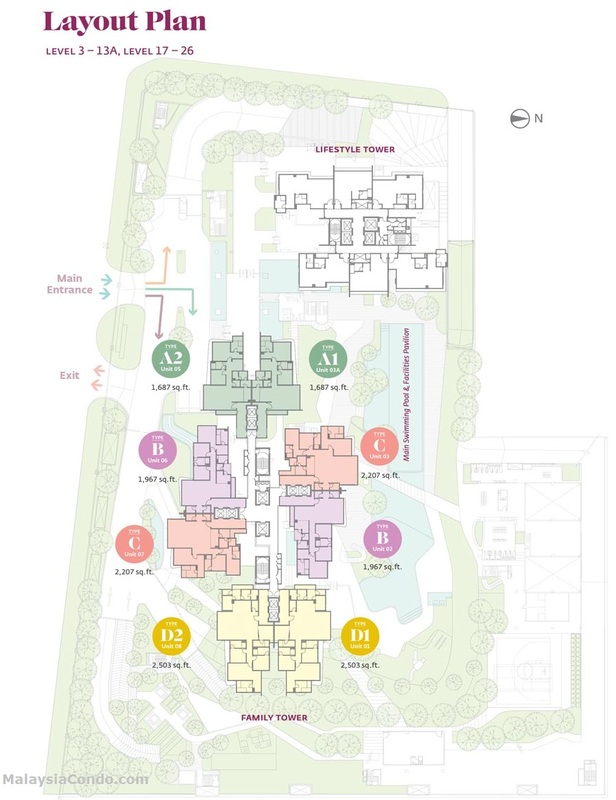 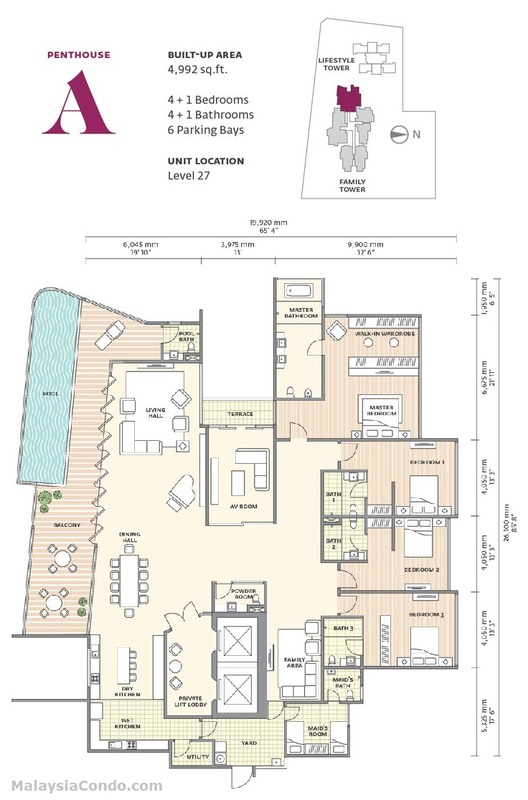 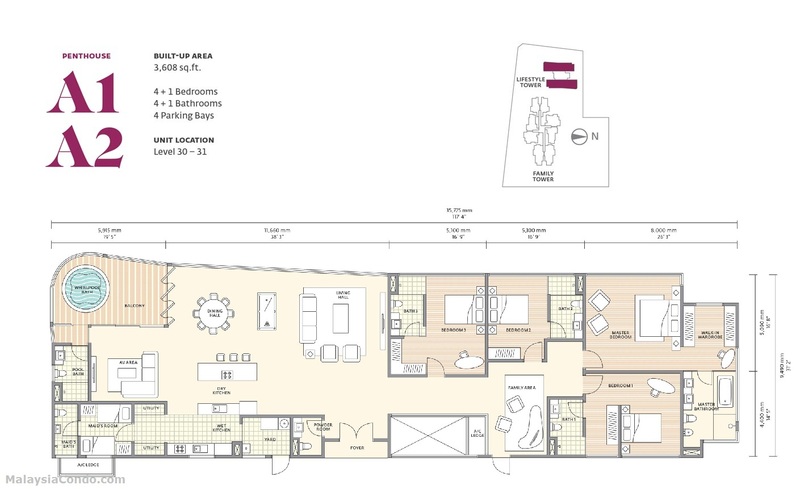 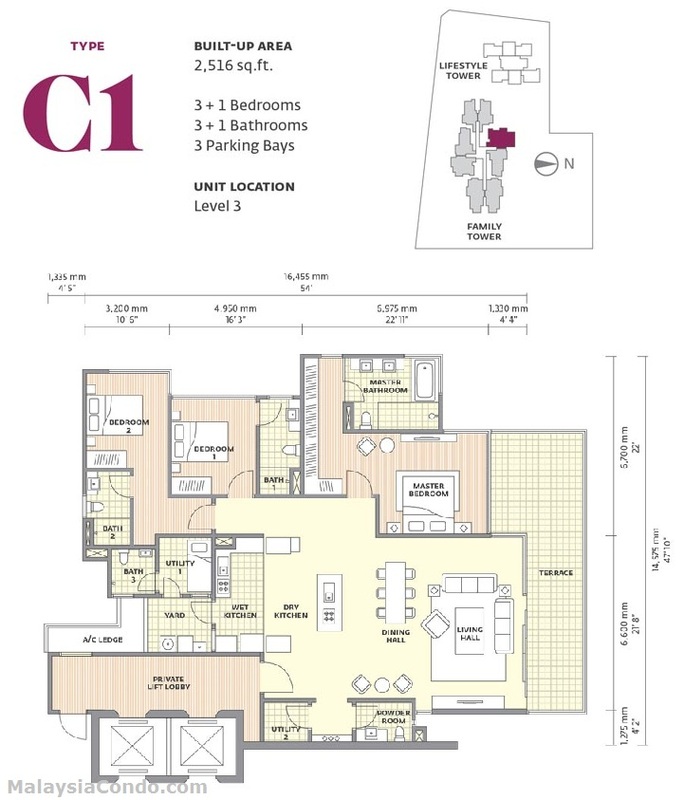 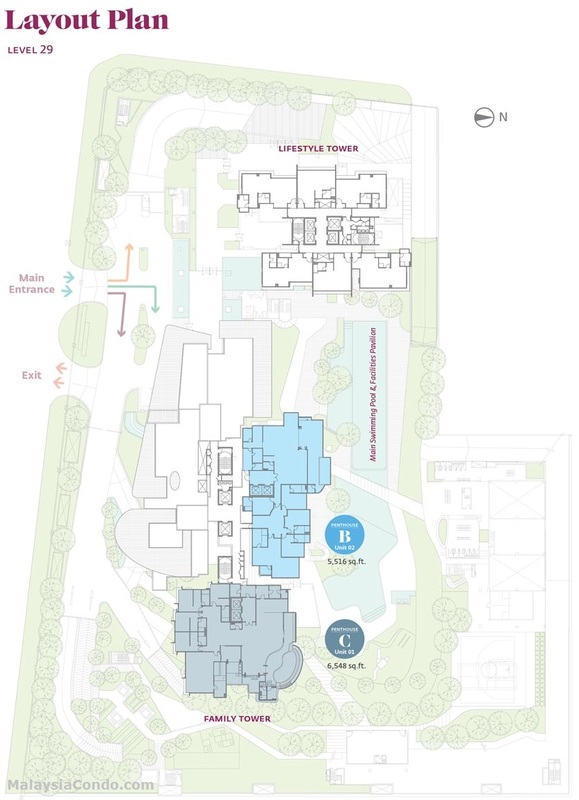 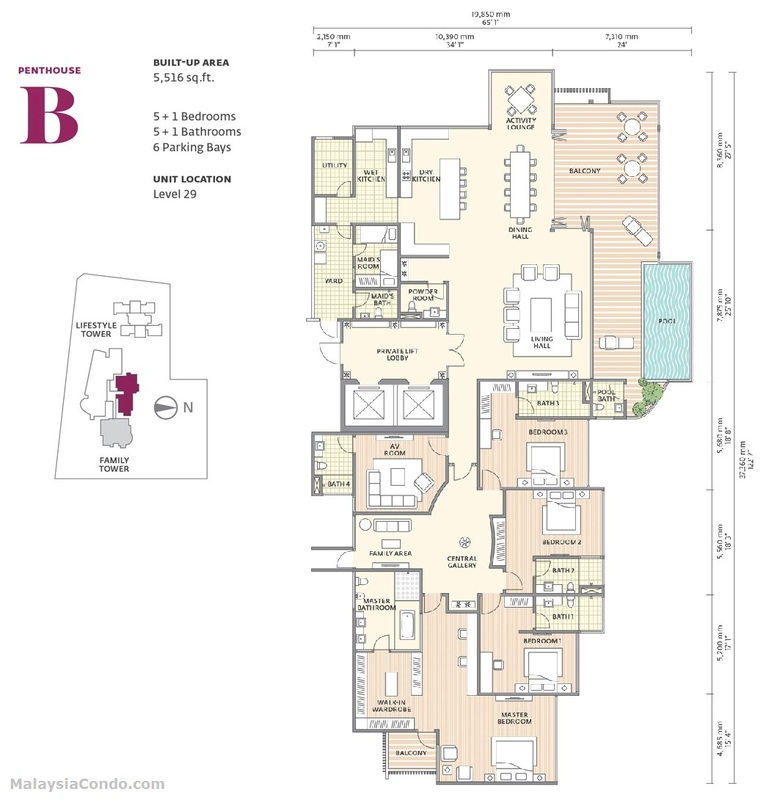 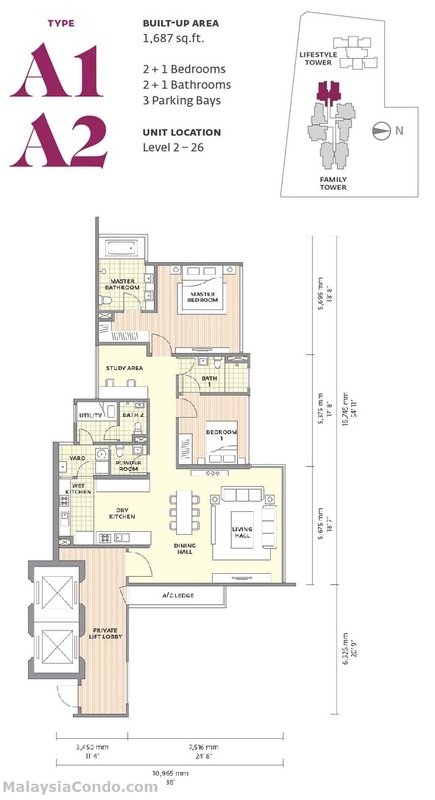 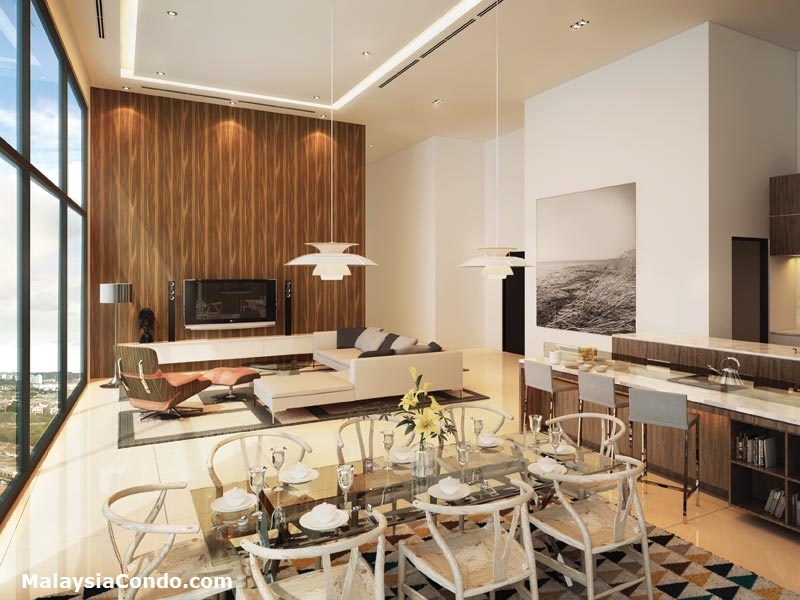 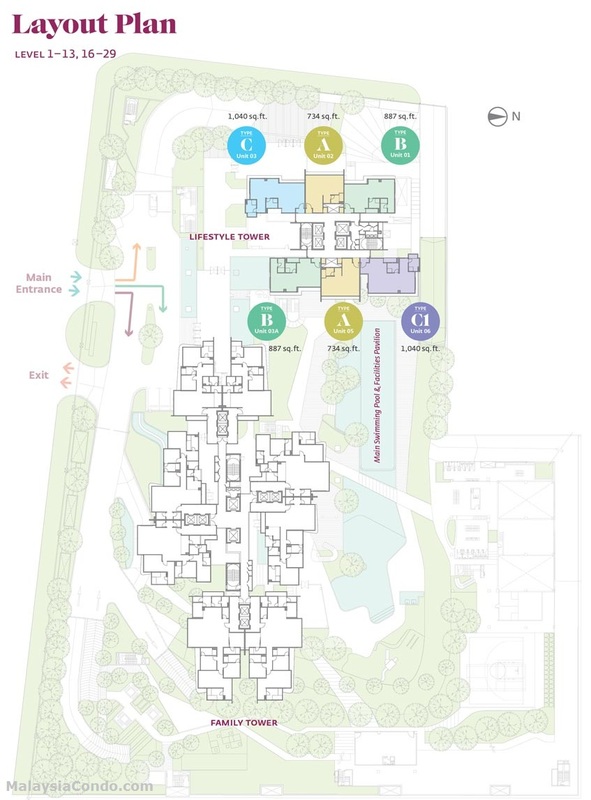 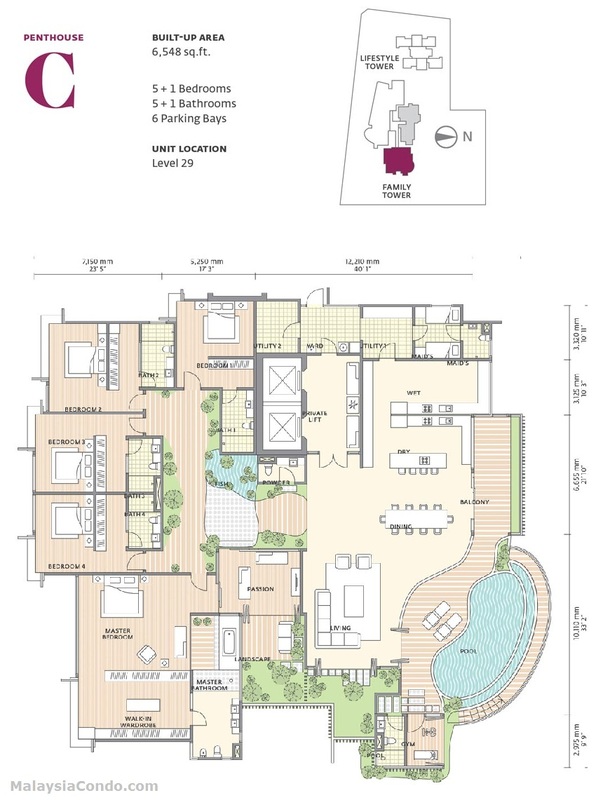 There are 5 layout types for the standard units and 4 types for the penthouses. 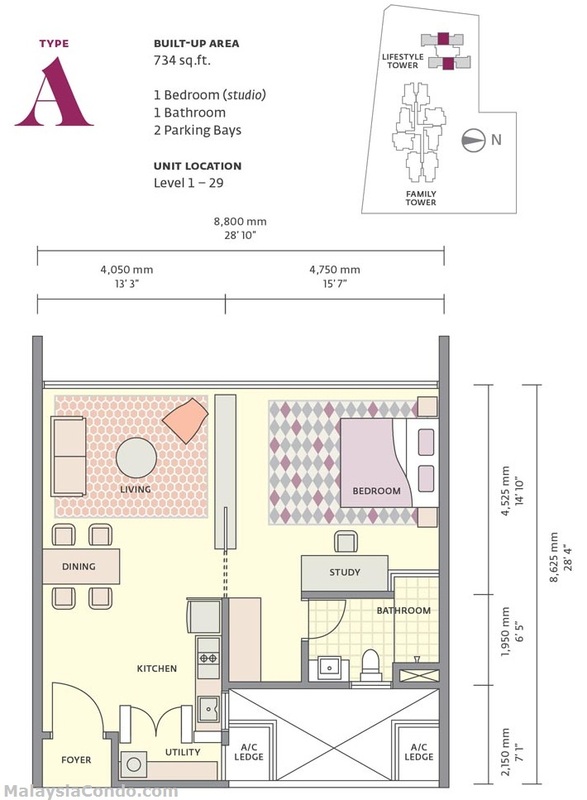 The built-up area for the standard unit is ranging from 1,687 sq.ft. 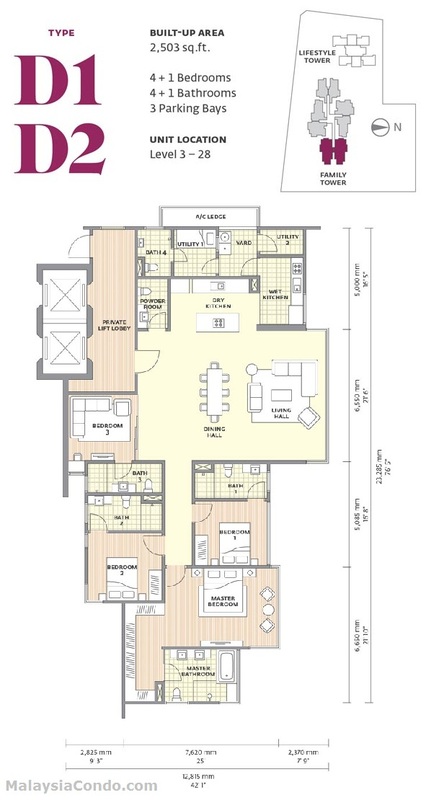 to 2,516 sq.ft. 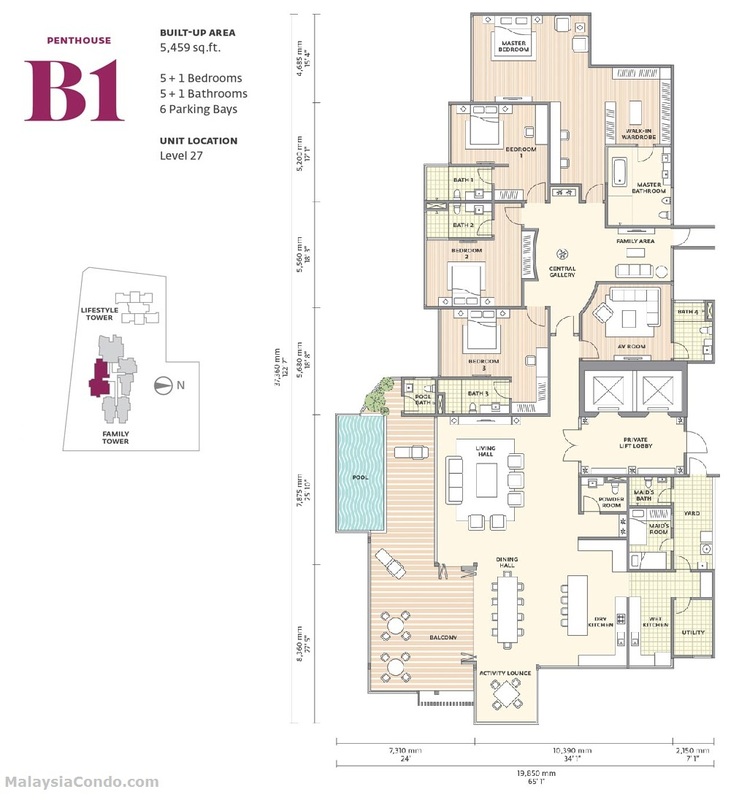 and the penthouses with built-up area from 4,992 sq.ft. 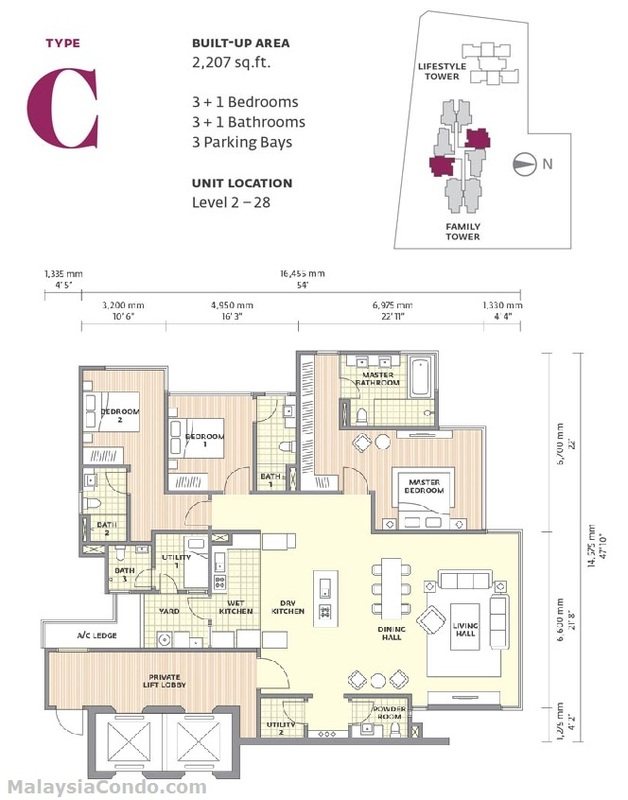 to 6,548 sq.ft. 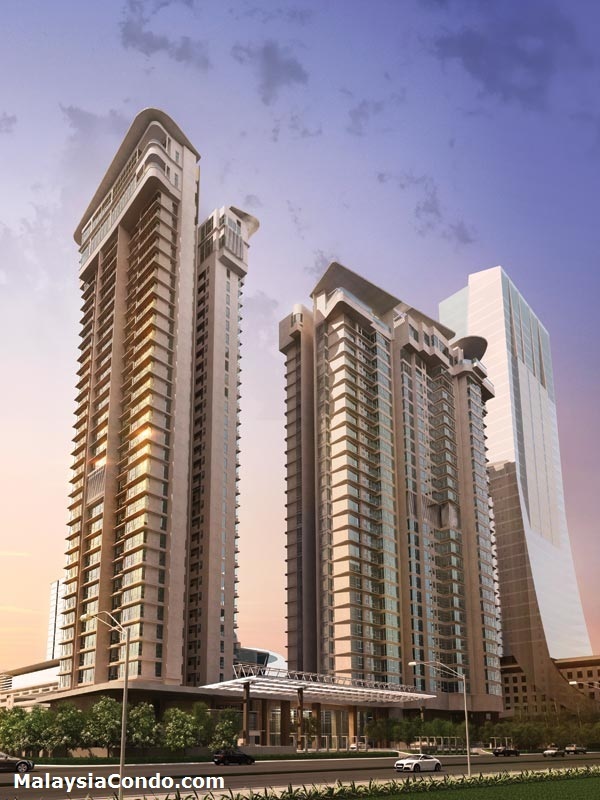 While the 32-storey Lifestyle Tower consists of 170 apartments and 4 penthouses. 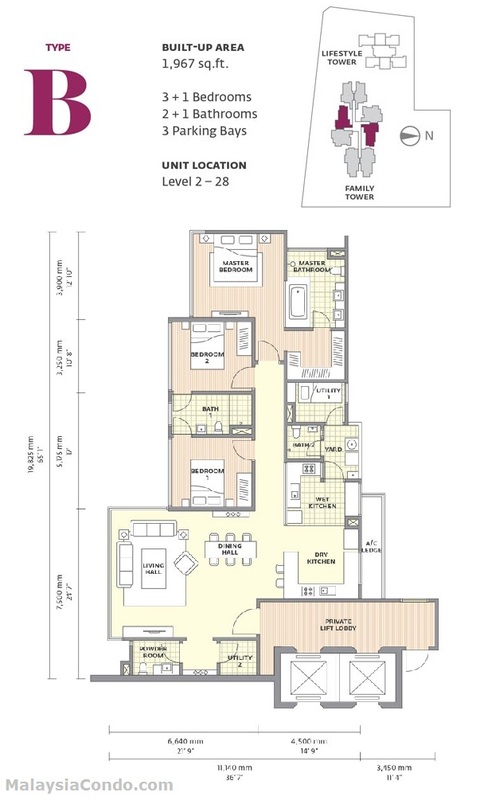 The standard apartment units has a built-up area ranging from 734 sq.ft. 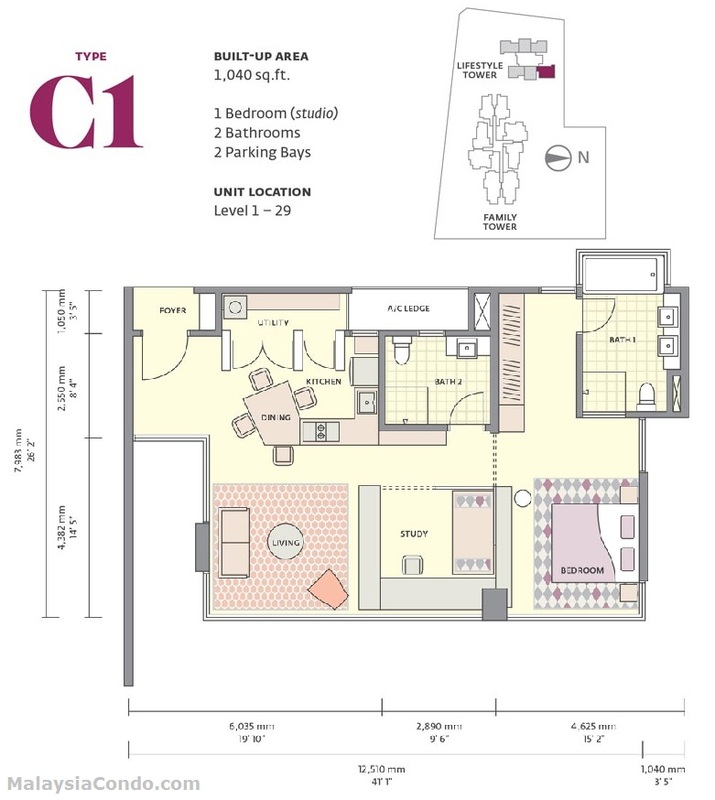 1,040 sq.ft. 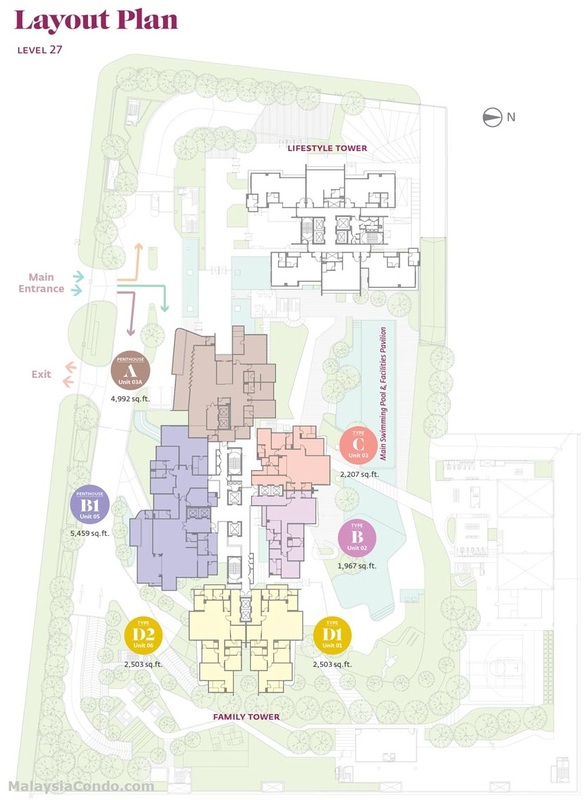 There are only six apartment units on each floor served by 4 lifts. 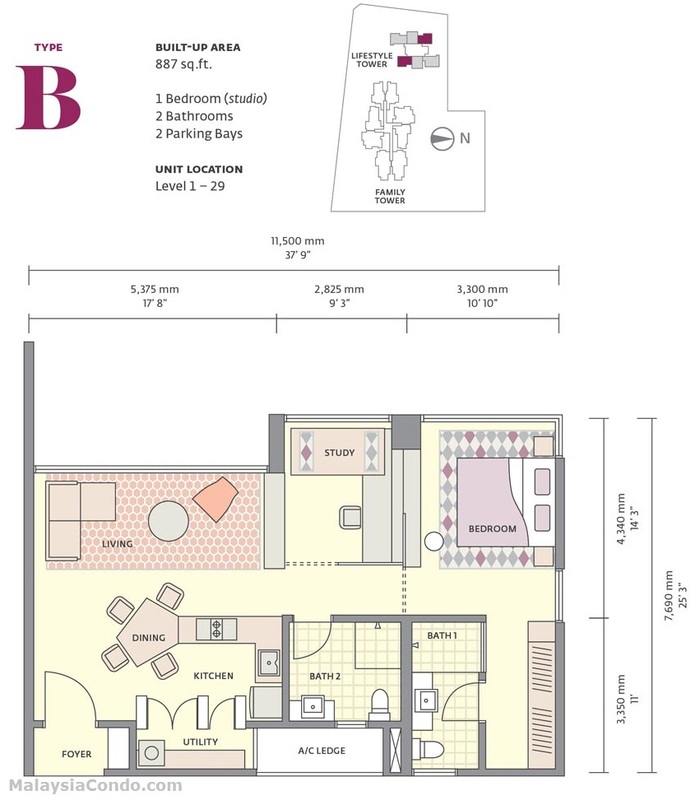 Built-up Area : 734 sq.ft. 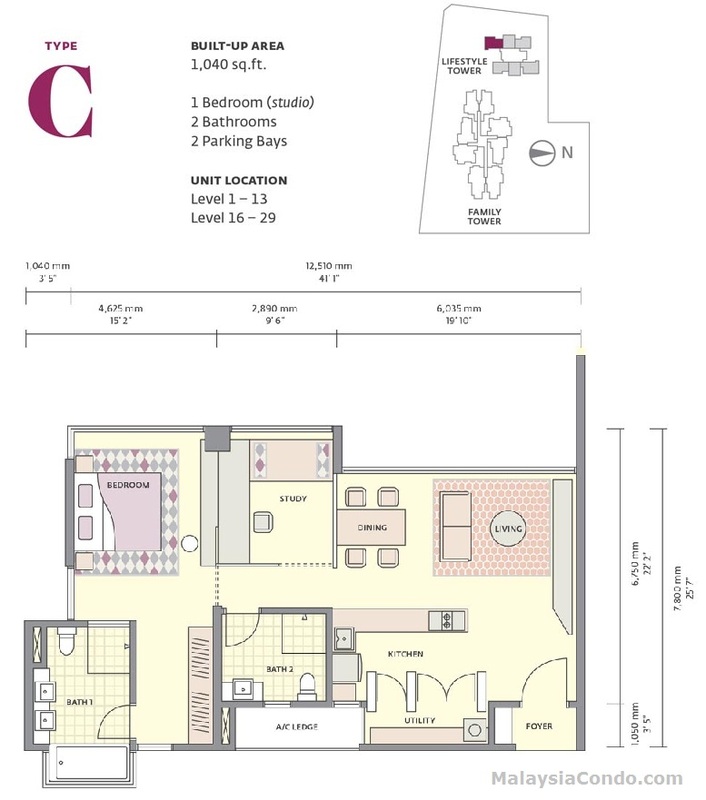 - 6,548 sq.ft.